MINI DIN-4 (SVIDEO) FEMALE TO RCA FEMALE ADAPTER. 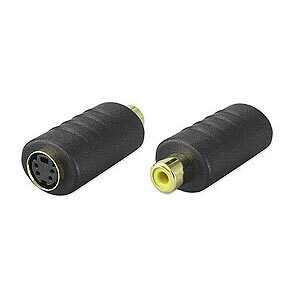 This adapter accepts a male S-Video (DIN-4) connector and provides a female RCA socket. Use it with an RCA cable to convert between S-Video and RCA (composite) video.